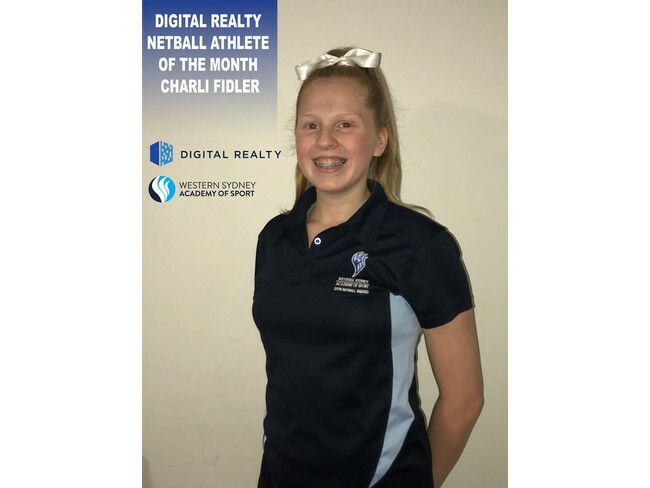 Digital Realty Netball Athlete of the Month Charli Fidler! Announcing our Digital Realty Netball Athlete of the Month award winner Charli Fidler! Charli has been awarded as the March winner for her dedication to the Academy and our Netball squad. She is an extremely hard working and talented young athlete. Her coaches commend her for her efforts as well as her ability to work with her fellow team mates. Charli’s talent and determination were also recently recognised by the Manly Sapphire Premier League Team where she has been offered a full player contract with the U23s. Congratulations Charli! We can’t wait to see where your netball career takes you.